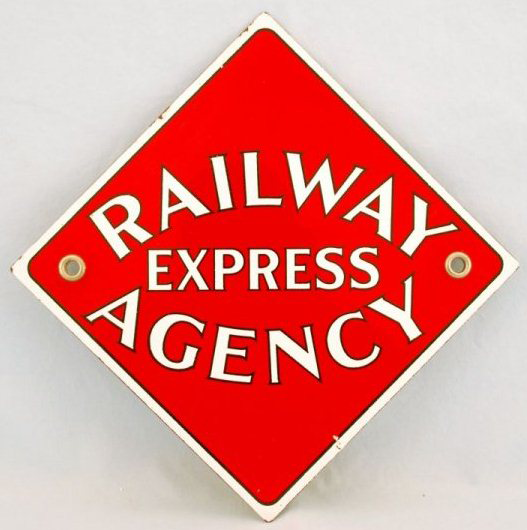 This is a diamond-shaped Railway Express Agency porcelain sign. This particular Railway Agency Express sign is red with white text. It reads, “Railway Express Agency”.